Included here is a blog from Santa Clara Law’s International Human Rights Clinic. They submitted a brief in support of BELPO’s Petition to the Inter-American Commission on Human Rights. I am grateful to Chloe Tomlinson for permission to reproduce the blog entry in The Violence of Development website. On June 13th, 2018, Santa Clara Law’s International Human Rights Clinic submitted an amicus curiae brief before the Inter-American Commission on Human Rights on behalf of communities affected by the construction of the Chalillo Dam in Belize. The brief addresses novel legal issues and provides the Commission with a unique opportunity to further develop the human rights obligations of States and businesses in the area of environmental harms caused by large development projects. 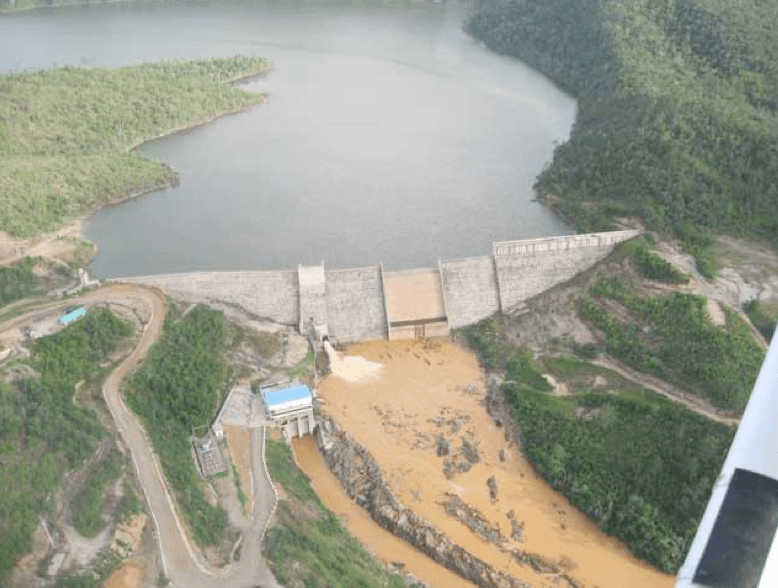 Fourteen years ago, the Belize Institute of Environmental Law and Policy (BELPO) submitted a petition before the Commission alleging human rights violations caused by the approval, construction, and operation of the Chalillo Dam in the Macal River basin. Construction on the Dam began in 2002 and was completed in 2005. The petitioners allege the dam was approved in violation of applicable regulations that required, among other things, further studies on mitigation of impacts to wildlife, archaeological ruins, and the environment, as well as publication of required water tests. People living in the Macal River Basin depend on the river for drinking water, employment, bathing, fishing, and recreation. The dam’s construction has severely damaged the Macal River and caused major, irreversible, negative environmental impacts, destroyed unique and critical habitats, and submerged unexplored Mayan archaeological sites, which are of cultural importance to the Mayan communities in the region. On October 27, 2015, the Commission declared this petition admissible and a decision is pending on its merits. (4) Belize violated the right to access to justice and judicial protection by failing to provide an effective recourse to address violations of the dam’s environmental compliance plan. Clinic students Susan Shapiro, Chloe Thomlinson and Kyle Heitmann interviewing a local business owner in Belize. 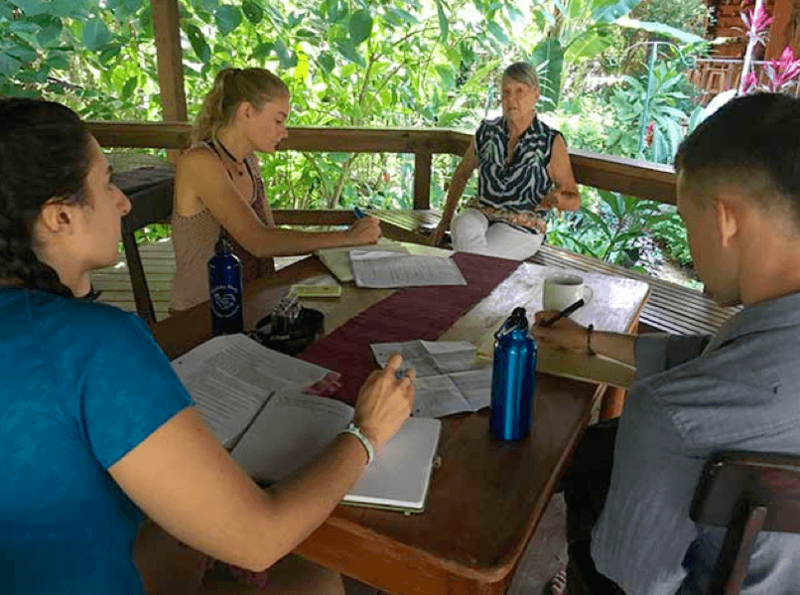 Five Clinic students worked on the brief during a year-long process that included a fact-finding trip to talk to affected communities in the Macal River in Belize. “Interviewing the affected community members in Belize was an exceptional experience;” said clinic student Chloe Thomlinson, “it made the issues we were discussing all the more real and significant”. Students canoed down the Macal River with affected community members who described the negative effects the dam had on the river and on their livelihoods. Some community members, including children, developed skin rashes and stomach problems due to the contaminated water. For the community, the Macal was more than just a river; it was where they grew up, made memories, and worked, and it was a source of food and clean water. The Clinic’s brief aims primarily to support and supplement the remarkable work that the petitioners and local NGOs have done to seek reparations for the damage done by the construction of the dam. Additionally, the Clinic expects the Commission to develop clear language on the relevant obligations States and businesses have in the area of economic, social, cultural, and environmental rights, particularly in the context of large development projects that contaminate rivers and cause harm to rural and indigenous peoples. Read the amicus brief on Chalillo Dam in Belize.